To further beautify and customize the look of your open beam ceiling, several different accessories are available, including corbels, u-brackets and rubber strapping. 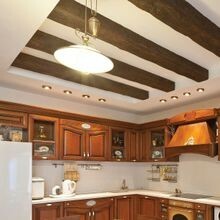 Like all our fake wood beams, these look very authentic and are simple to install. We stock the entire collection of Rustic Faux Wood Beams in our New Jersey and Arizona facilities to provide more cost-effective, fast shipping. If you cannot find the rustic wood beams that meets your needs, contact our friendly sales department for more information on Outwater’s entire collection of foam beams for vaulted ceilings and fireplace mantles. Samples are available to all customers upon request. The foam beams in this contemporary collection are also available in a selection of different widths and with optional accessories: corbels, polyurethane u-brackets, and rubber beam strapping. These stylish beam accessories give your project a finishing touch with highly realistic details. Customer service has been our priority since 1972. We are happy to provide free samples to all customers upon request, as well as reliable customer support. If you are struggling to find the fake ceiling beam that meets your specific needs, please contact our friendly sales department for more information on Outwater’s entire collection of faux wood beams and accessories. We stock the Contemporary Faux Wood Beam Collection in our local warehouse facilities located in New Jersey and Arizona facilities in order to provide faster and more cost-effective shipping throughout the country. These affordable decorative ceiling beams can enhance the design and ambiance of residential homes, hotels and restaurants, and much more. In addition, their lightweight polyurethane material makes them very easy to lift and install. Once installed, our beams do not require maintenance because they will not warp, split or decay due to moisture or temperature changes. The Box Faux Wood Beams come in a variety of widths as well, and free samples are available to all customers upon request. 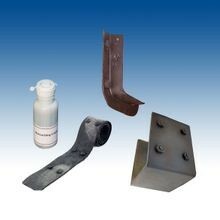 We also offer several accessories for installation, including corbels and rubber beam strapping. Outwater stocks these versatile foam beams in our New Jersey and Arizona facilities, which allows us to provide faster and more cost-effective shipping for our customers. Customer service is a top priority at Outwater, and we are proud to provide reliable customer support. If you are having trouble finding the box beam that meets your needs, contact our friendly sales staff for more information on Outwater’s entire collection of faux wood ceiling beams and accessories. 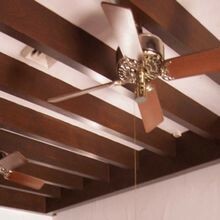 Like the beams, they are highly detailed, light in weight, and simple to install. The corbels are offered in a range of heights: 5-3/4”, 7”, and 16”, depending on which collection they are from. They are beautifully finished to match the beams as well. Our polyurethane u-brackets and flat plates complement each series of faux wood beams and bring a rustic look to the finished product. 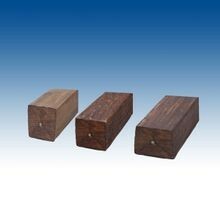 Also included in our line of faux wood beam accessories is our selection of rubber beam strapping. Rubber straps are the perfect solution for covering the seam between two beams. For your convenience, we offer both single strap and double strap rubber beam strapping. Outwater stocks the entire collection of faux wood beam accessories in our Arizona and New Jersey warehouse facilities. This allows us to provide fast, reliable, and cost-effective shipping for customers throughout the country. Samples of our faux wood beams are also available upon request. At Outwater, customer satisfaction has been our top priority since 1972, and we are proud to offer reliable support. 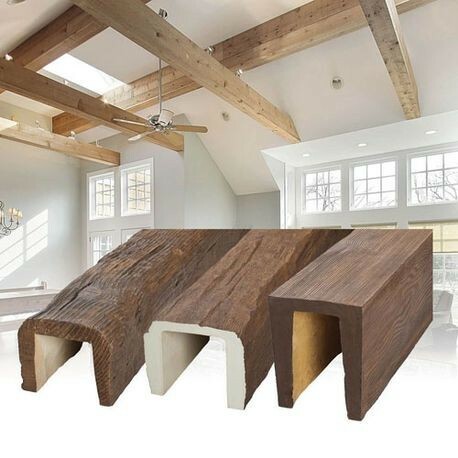 If you are having difficulty finding the faux wood beam or accessory that meets your needs, contact our friendly sales department for more information on Outwater’s faux wood beams and beam accessories. Outwater also offers a custom faux wood beam program, in which customers can request beams in any size or length to fit their space. Also available is our series of ceiling beam accessories that includes a selection of corbels, polyurethane u-brackets, and rubber beam strapping. These highly realistic beam accessories are designed to complement each style of artificial wood beam and allow you to further personalize the look of your ceiling. Outwater stocks the entire collection in our local New Jersey and Arizona warehouse facilities in order to provide more cost-effective shipping to all customers. Customer service is our number one priority and we are here to help. If you cannot find the ceiling beam that meets your needs, contact our knowledgeable sales department for more information on our different series of faux wood beams and beam accessories.